Christina Donnelly is a writer, editor, and animal welfare advocate who loves to spread cheer in the form of cute animal photos and interesting animal facts. She writes about health and wellness for her 9-to-5, but loves all things lifestyle, travel, food, and pets, too. Christina has worked in digital media for over a decade. She began her career as an Editor at Nickelodeon, then transitioned into lifestyle content, such as home décor, food, pets, and health and science content. 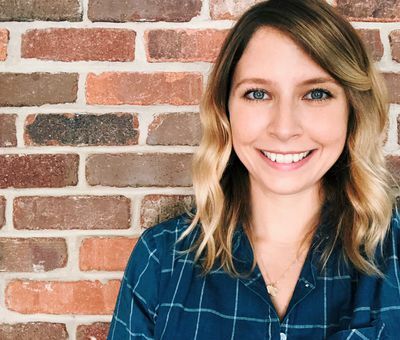 Her current 9-to-5 is with Anthem Health, where she works as a content lead. A former Spruce editor, Christina has been contributing content to The Spruce Pets for two years. Christina first discovered animal welfare and advocacy at the age of 14. Over the years, she has managed an animal welfare organization, volunteered at numerous animal shelters and sanctuaries, and written on all things animals—from scaly creatures (that are actually cute), to facts about goats, to the best animal charities you can support. In addition, Christina also writes freelance content for other media outlets, including Sharecare, VeryWell, and TripSavvy. While attending Marist College in New York’s beautiful Hudson Valley, Christina studied English with a concentration in writing and Anthropology. Here, she honed her skills in fiction, non-fiction, science writing, and writing for TV, film, and radio. Christina has always been a writer; in fact, she entered her first writing competition at the age of five with a short story entitled Tutu the Magical Whale. Since then, her writing skills have improved and she’s been published in scholarly magazines and digital media outlets.